In the new reality series, “The Jacksons: A Family Dynasty,” the four remaining Jackson Brothers reunite (minus Randy) to try to make a comeback. 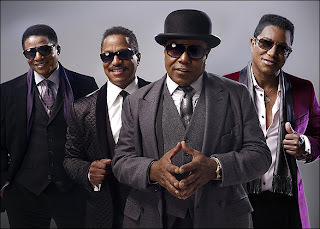 The two hour opening episode that aired on December 13th showed the four brothers, Marlon Jackson, Tito Jackson, Jermaine Jackson and Jackie Jackson, interacting with each other, their families and the world. The series will be aired in six episodes. Why isn't Randy a part of the series anyway? The four Jackson brothers seem to want to embark on a world tour as the “Jackson 4,” in order to pay homage to Michael Jackson and also a comeback for the the remaining members of the legendary group. But it seems to be Jermaine Jackson, right, and the Jackson 3. Jermaine is up to his old tricks again. He appeared to be a divisive force in plans for recording two songs and the planning for the tour. The best scene though was Jermaine's attempt to rewrite history by saying he did not leave the Jackson 5 because of Hazel Gordy, but due to the loyalty he felt for Motown because the company 'discovered' them. Jermaine should consider an acting career. His crocodile tears didn't fool any of us who lived through his split with his brothers in the 1970s. All of us already knew it was a combination of Jermaine's marriage to Hazel and his loyalty to Motown that led to the split. He talked often about wanting to take over Motown from Berry Gordy one day. Jermaine clearly sees himself as the successor to Michael, at least within the remaining structure of The Jacksons.